N-SPEX MEGA STIX to our line of N-SPEX STIX Vehicle Condition Documentation Systems. Each pair of MEGA STIX uses 6 state of the art HD-TVI 2.2 Megapixel cameras or 6 4 Megapixel IP Cameras to record the condition of each vehicle. The HD-TVI Cameras transmit video over standard coax cable to the HD-TVI DVR whereas the IP Cameras transmit video via cat5e/cat6 network cable.
! 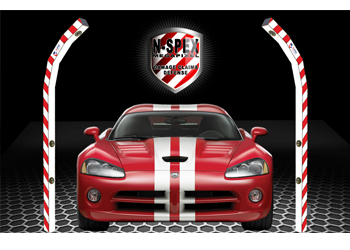 The N-SPEX MEGA STIX system of Entry and Exit Arches and document the condition of every vehicle that enters and or exits your property. It’s easy for customers to blame your employees or equipment for damage, but most of the time the damage is either pre-existing, (but not discovered until an after-wash inspection), or the damage occurred after the vehicle left your facility. Without proof of when the damage was present, you can ultimately be held liable for almost any claim presented. Carwashes that have the N-SPEX MEGA STIX system have reported that the system has paid for itself in less than 6 months. In fact, one Operator says that 2 claims in the same month that were avoided with solid evidence from the N-SPEX system, more than paid for the entire system. 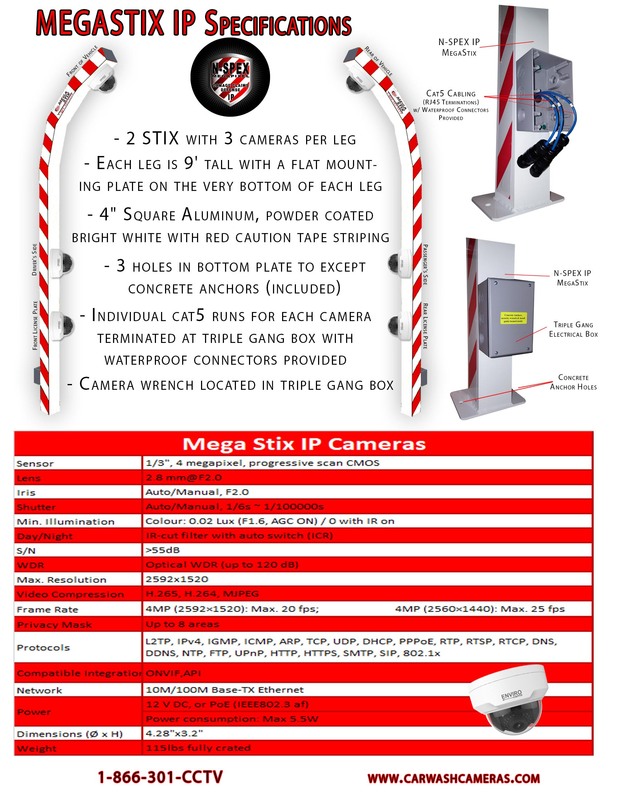 Each pair of N-SPEX MEGA STIX contains a total of 6 High Resolution cameras, Pre-Assembled, Pre-Focused and Pre-Mounted. 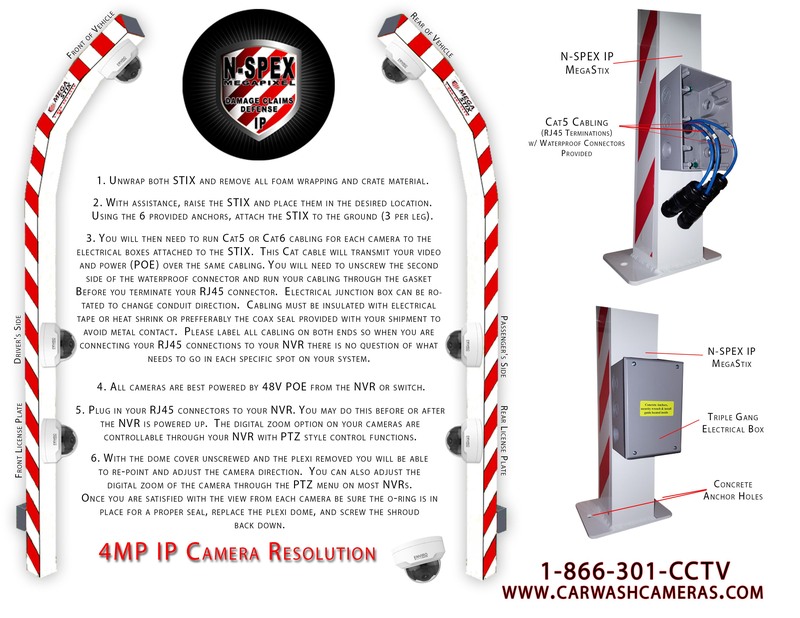 These High-Resolution cameras are pre-adjusted and pre-focused to provide the perfect solution to the viewing angles and distances you need to adequately document the condition of vehicles entering and leaving your facility. This makes installation a snap! © 2019 Car Wash Cameras All Rights Reserved.